Since updating to iOS 12, Read2Go is not working. When attempting to download a Bookshare book, Read2Go puts it in a queue, but the app immediately crashes. Is this the result of the iOS update to version 12? I know that Bookshare is no longer supporting Read2Go. Kendra, Capti works well with Yosemite. You may also want to contact Capti directly: support@captivoice.com. They are very responsive. I receive questions from teachers of the visually impaired about NIMAC-sourced books and private school students. Many TVIs serve students in private schools. The TVIs are employees of a public school district and develop the IEPs and educational plans for the private school students who are blind or visually impaired. If the private school implements the IEP for a student and the parents decline services from the public school, can the TVIs provide NIMAC-sourced Bookshare books to the private school students? Or, must the TVIs implement the IEPs in the private schools in order for the students to receive the NIMAC-sourced textbooks? If a K-12 student with a qualifying print disability has a Bookshare individual membership and is on a school's organizational roster and moves overseas, how does this impact his/her ability to access Bookshare? If the student is served by an international school, is that school eligible for an organizational membership? 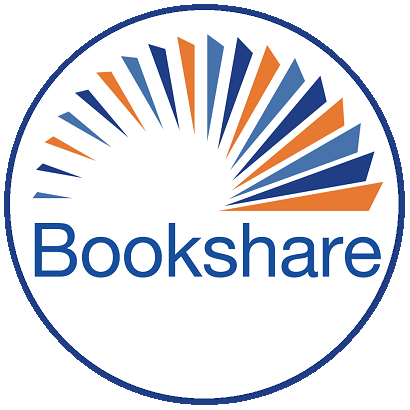 What schools qualify for Bookshare organizational memberships if they serve US citizens? Do US students' individual memberships follow them if they move with their families to another country? How does this work? Nick, This was so easy! The images in the Bookshare books in Voice Dream Reader are wonderful. Thanks for the information! It is my understanding that the developer of Voice Dream Reader was considering adding image support for Bookshare books, but I don't know of any timetable. If I were a Sponsor who is new to Bookshare, I would spend a lot of time up front perusing the Bookshare website. I would begin by looking at information under the “Is Bookshare for Me” and “Help Center” tabs. Under the “Is Bookshare for Me” tab, I would read about Who Qualifies and What It Costs and view the Possibilities Abound with Bookshare video. Then I would view some of the video tutorials and read some of the brochures and how-to guides available in the Help Menu under “Training and Resources/Bookshare Academy.” The Learn It Now video tutorials, brochures, and how-to-guides provide information on the basics of Bookshare, membership, finding and organizing books, reading books, and member testimonials. Then I would take time to look carefully at the options under “My Bookshare.” In summary, I would spend a good deal of time exploring the Bookshare website before trying to manage my student roster, downloading/assigning books to students, or exploring software and hardware applications, etc. Distributing Bookshare flyers is an excellent way to get the word out about Bookshare. Also, directing parents, teachers, librarians, paraprofessionals, and administrators to the Bookshare Member Videos is another way of providing information quickly. Beyond that, holding short one-hour introductory presentations at staff meetings, PTO meetings, parent conference days, professional development days, or with small groups of targeted staff, such as team teachers, administrators, and special educators can provide more in depth information. In addition, IEP and 504 meetings provide opportunities to talk to staff and parents about the legal requirements to provide AEM to students who need them, Bookshare as a source of AEM, and the benefits of Bookshare membership for students with qualifying print disabilities. How do mentor teachers access the book to read for themselves? Nick, I am confused about this issue. Let me pose an example. Let's suppose I am a teacher of the visually impaired and work for a public school education agency that serves a number of school districts. I teach students who are blind or have low vision. These students qualify for Bookshare. As the TVI, I may or may not have access to the physical book that my student is required to read. As a Sponsor, I can download that digital book and provide it to my student. But is Bookshare saying that I am not allowed to access that Bookshare book in role as the student's TVI? So, is Bookshare's policy that I cannot read/review the Bookshare book to check the content, quality, page numbers, table of contents, images, and other items so that I can support my student as he or she reads the book? Check out the Bookshare Blog for current information on Bookshare and members' personal stories: http://blog.bookshare.org/. Bookshare has recently offered feature enhancements, including BeeLine Reader and Assign and Read. There are also wonderful articles about students with visual impairments who are transitioning to work through training and accessible eBooks and Bookshare Parent Ambassadors who are advocating in their local schools on behalf of Bookshare.